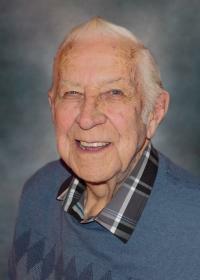 The family of Harvie Hawkes of St. Albert is saddened to announce his passing on Sunday, May 15, 2016 at the age of 86. He will be lovingly remembered by his family Frank (Donna), Lee (Edwin), Shelly (Roger), David, Don (Shellie), and Lana (Robert); 17 grandchildren; 12 great grandchildren; very dear friend, Pearl Jarvie; as well as numerous relatives and friends. He was predeceased by his loving wife, Donna; brother, Tom; and other relatives and friends. A Memorial Service will be held at 2:00 pm, on Saturday, May 21, 2016 at Foster & McGarvey Funeral Home, 9 Muir Drive, St. Albert, Alberta. Memorial donations in Harvie’s name may be made to a Charity of One’s Choice.